The "Stichting Michiel de Ruyter" is closely involved in the organization of the events in England and the Netherlands. We hold a coordinating role in close cooperation with the English and Dutch organizations, such as musea and governments. The design of a commemoration coin, development of a comic book and general planning are the responsibility of the Foundation itself. Interested in a lecture? Contact us for details. Visit our full site by following the link in the top right corner of this page "naar volledige website" and subscribe to our newsletter. 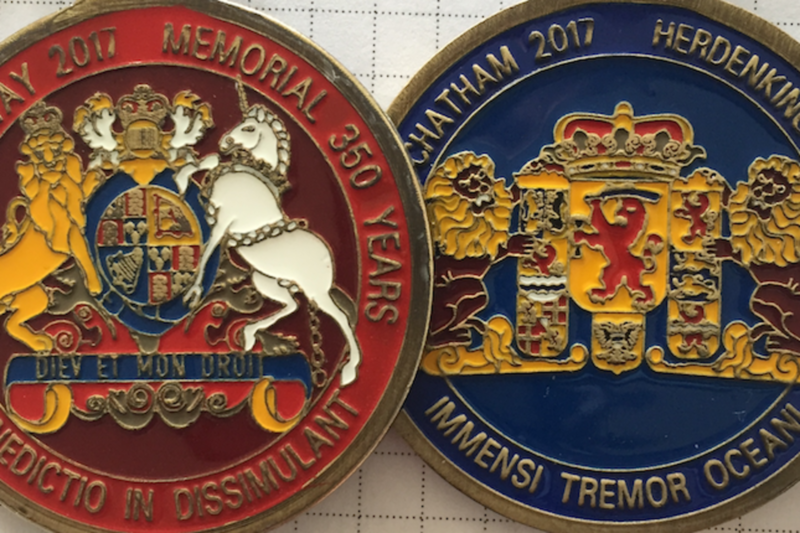 We will keep you informed on a regular basis of all the events organized by our Foundation and especially the Chatham 350 commemoration in 2017. Are you a typical Dutch entrepreneur with a typical Dutch product that has a relation to this event? Contact us and see if we can help you get your products in England for the Dutch Week. Through your support the Foundation Michiel de Ruyter can bring the cultural heritage of the Battle of Medway (Tocht naar Chatham) to the attention of the general public. By our actions and initiatives we hope to make a larger population enthusiastic about our history and the lessons it holds for the present. The comic book, lectures at schools and commemorations we organize are made possible by your contributions. Please help us realize those goals by donating to our "culturele ANBI Stichting". Use the link in the heading or the button on this page. The Foundation is a "Culturele ANBI". Check local tax rulings for the advantages.